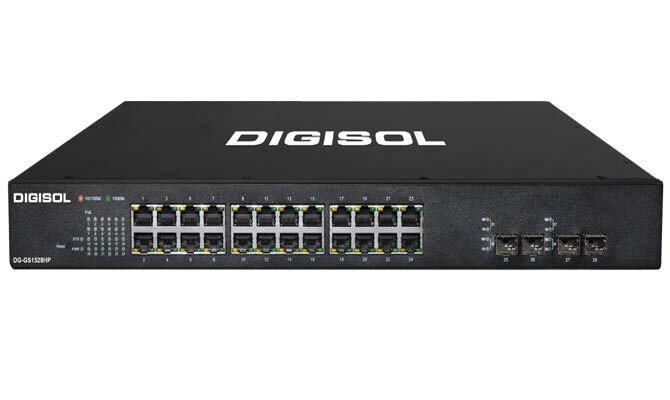 DIGISOL Systems Ltd. announced the release of its new 24 port Gigabit Ethernet Lite-Managed PoE+ switch. The DG-GS1528HP is a intelligent network manageable switch designed for network environments that require high performance, high port density and easy for installation. It also supports VLAN, Port Mirroring and Port Trunking.